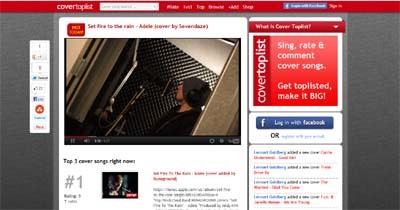 Online cover song contest, directory and toplist of best cover songs based on user generated content. Users can add a limitless number of cover songs to their profile to compete with and rate other users’ cover songs. Competition results in good quality data about the best cover songs & performers. This site excels a neat, simple & usable user interface.